The Global Legal Hackathon 2019, is introducing a Legal Hub with tools sponsored by leading LegalTechs, for use during the hackathon to develop the Minimum Viable Product. The technology will be provided at no charge to the participants during the event. Each team will have to work with the vendors directly after the event, to agree on terms and conditions for future. This guide walks you through the steps necessary in creating a web-based HTML form (or other web-based technology) with all the fields embed in the smart document creation. Once you create this form, open it in a browser, fill it out and hit submit, you will receive your first Integra Ledger Smart Document digitally trusted on the blockchain. Not coding is needed to create an Integra Smart document. Only basic HTML is needed! Neota Logic is an award-winning AI-automation platform providing no-code tools for professionals to rapidly build, or have built for them, digital solutions to extend the reach of expertise, improve client satisfaction and create new business opportunities. Neota is the only provider that integrates reasoning, workflow and document automation, into a seamless offering and has a strong global presence with offices in New York, London and Melbourne. Neota is offering participants the opportunity to use the Neota platform to build a legal-based application to present to a judge panel at the Global Legal Hackathon. Neota representatives will be at the New York, London and Melbourne event if you need any help and guidance. UiPath is, in essence, the slow fruit of a group of engineers driven by an enduring ambition to build the best technology they possibly could. The way we work is changing. RPA is becoming the heart of every company's digital operation. The sooner we enable everyone to experience it, the faster we all get to master it to our benefit. For our robots, it’s monkey see, monkey do, really! Just click, select and type anything on the screen and UiPath will capture every mouse and keyboard action and translate them into logical steps inside a visual workflow. More information on UiPath can be found here. You will get an email “Download the UiPath Community Edition” from [email protected] containing the installer. Note: check your spam folder in case you don’t get the email. Install UiPathStudioSetup.exe. First time UiPath Studio opens, you will be prompted an activation wizard. Click “Activate Community Edition”, fill your email address and “Activate”. UiPath Studio is now ready to use: click new Process to get started with your automation project. ServeManager, a process service software, allows legal professionals to completely manage all aspects of serving legal documents. Process serving, or the process of officially notifying a party of their involvement in a legal proceeding, is an integral aspect of due process. ServeManager believes in making process serving easier for those serving these documents all in one place. What makes ServeManager better than other software? Our complete list of tools and features including GPS tracking, invoicing, mass attempts, email notifications, collaboration, mobile accessibility, custom affidavits, and much more. Clause makes it easy for you to build parameterized legal contracts, parse them to extract machine-readable data, execute them as REST services, and connect them to external data sources. HTTP Custom Action - Clause. 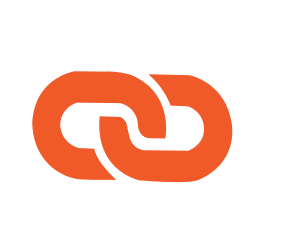 The HTTP Action Connector allows your clause to make a HTTP request to a web-service or REST API. LawGeex is pleased to partner with the NY Legal Hackathon. As the leader in contract review automation, we are sharing access to our AI-powered platform with you. Inside our platform, you will find demo contracts as well as demo playbooks which we've already uploaded. You will have the opportunity to experiment with the same contract review automation experience enjoyed by leading global companies. Volunteers from LawGeex will be on hand to answer questions and advise you. Users: Four users have been activated. Only one user can be logged in with each username at anyone time. Please coordinate as if someone else logins with a username currently in use the first user will be disconnected. Playbooks: This is a real instance. Any changes in the playbook will affect all users. Contracts: Only the demo contracts already uploaded will be available for use. To reset any contract, press CTRL-SHIFT-F5. LawGeex is transforming legal. For companies who want to spend less time on contracts and focus on high-impact work, LawGeex automates the review and approval of everyday contractswith unparalleled accuracy, consistency, and scalability through our advanced AI platform. LawGeex is recognized by Gartner, Wired magazine, and CB Insights as a leading force in bringing innovation and technology to the legal world – and is trusted by global firms such as eBay, Bain & Company, and White & Case. The Association of Legal Administrators (ALA) has developed codes intended to standardize how processes within legal support operations are identified, defined and organized. ALA’s Uniform Process Based Management System (UPBMS) is intended to improve understanding of the increasingly varied administrative and operational processes that are required to support legal operations. This code set is open source and available to anyone to use. The latest version of the codes are available in Excel and PDF formats. ALA’s UPBMS is intended to provide a foundation of categories and descriptions that provide guidance to legal management professionals, consultants and analysts as they develop or conform process improvement and management analysis tools and techniques that have application across the legal industry. The codes have several applications, among them are HR/PD, Finance, IT, Marketing and Business Development, Operations, and Leadership. Documate (formerly HelpSelf) is document assembly software that allows you to create your own customized “TurboTax” for any area of law. Our technology was used at GLH 2018 to create an expungement tool that won two rounds of the hackathon and made it to the finals in New York. It is also used by law firms, legal aid organizations, and court systems around the world to create interactive, mobile-friendly tools for self-represented litigants. Documate is offering GLH participants the opportunity to use the Documate platform to build legal applications for the Global Legal Hackathon. Documate representatives will be mentoring live and remotely to provide assistance. Instructions for Use: Our platform has two tabs: Interview and Output Documents. Use the Interview Tab to create questions for your workflow, like you would on SurveyMonkey or Typeform. Then, use the Output Documents tab to upload your template documents and forms (which can be in .docx or .pdf format). View our tutorial videos at the link here or access written instructions at documate.wrkflows.io. GDPR: Customer data is not stored on our site unless the user signs in, and if the user signs in, they have full access to delete all stored data with the click of a button. Xooa provides the easiest way to launch blockchain apps by providing managed serverless blockchain, an API gateway, GitHub workflows, support for multiple concurrent apps for proof-of-concept, and quick integrations with common cloud services like DocuSign, QuickBooks, and Microsoft Dynamics. The transformative potential of blockchain for the legal profession is clearly understood. The race is now on to create applications that help facilitate consensus, trust, and traceability. The key challenge is introducing these capabilities without worrying about blockchain infrastructure and idioms. Xooa wants to provide developers the opportunity to create applications based on its platform that help verify the integrity of data and transactions. For support question: [email protected] or use the feedback button in the platform and you will get a response to your e-mail quickly. Through blockchain technology, iDefendo creates Digital Witnesses™ that assist in proving authorship and timestamps for any kind of data or process. 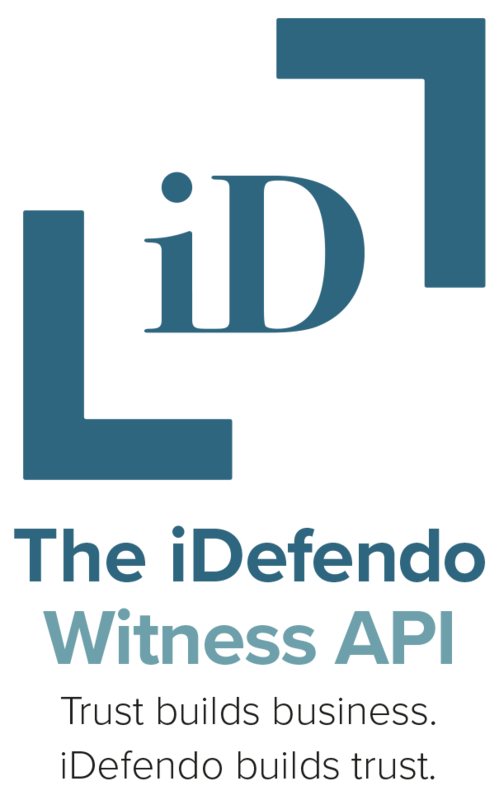 There are endless areas where our API with Digital Witnesses™ can be of great value and assistance in helping businesses and companies in areas such as protecting IP rights, demonstrate corporate compliance and prove data existence and provenance. It has never been more important to be able to prove things. Whether you need a timestamp to prove you were the first one with a discovery or you need to prove you turned in or signed something on time. All you really need to create a witness is a piece of content and a signature. But more data can be added if one likes. Some of that data – like metadata – can help you find your witnesses more easily later but is not encoded into the actual witness. Other data fields – like salt – actually changes the witnesses that are created and can be used as a security or privacy measure. You can also add auxillary data that gets encoded into the witness and can be used to create chains of multiple witnesses, for example, to document the steps in a multi-step process.